The Art of Shaving 3-Piece Manicure Set offers the essential tools needed for the immaculate, manicured gentleman. This kit includes three highly durable, corrosion-resistant grooming tools made of tempered stainless steel with a matte finish. 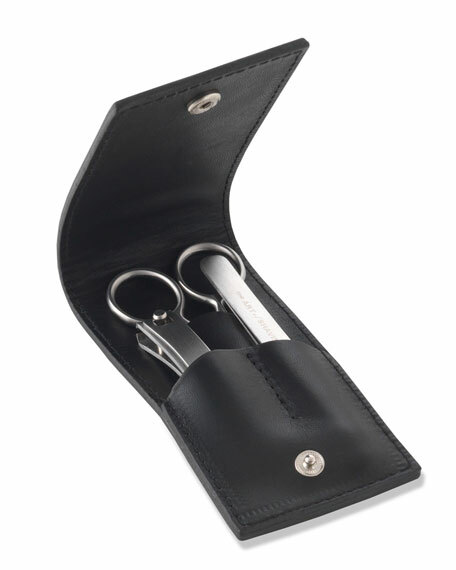 Includes a nail clipper, nose hair scissors, and tweezers in a black leather pouch.